The Brighton, is similar to our Cheltenham but also contains an additional study. 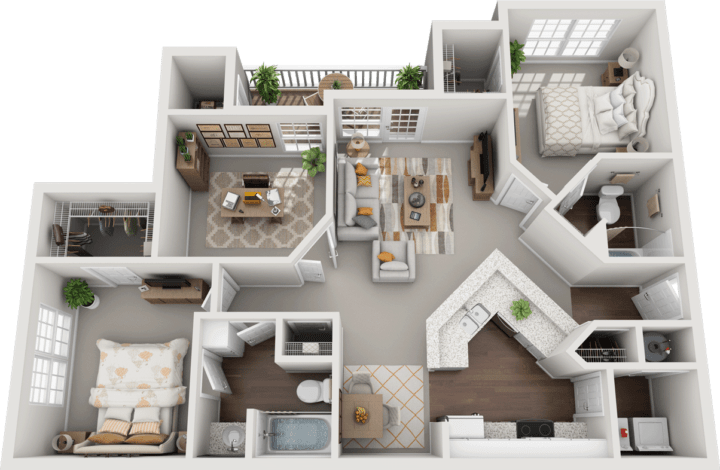 The study features double French doors that open to the hallway and provides the apartment with a considerable amount of extra square footage and living space. The Brighton measures 1,167 square feet. $300 Security Deposit with approved application.